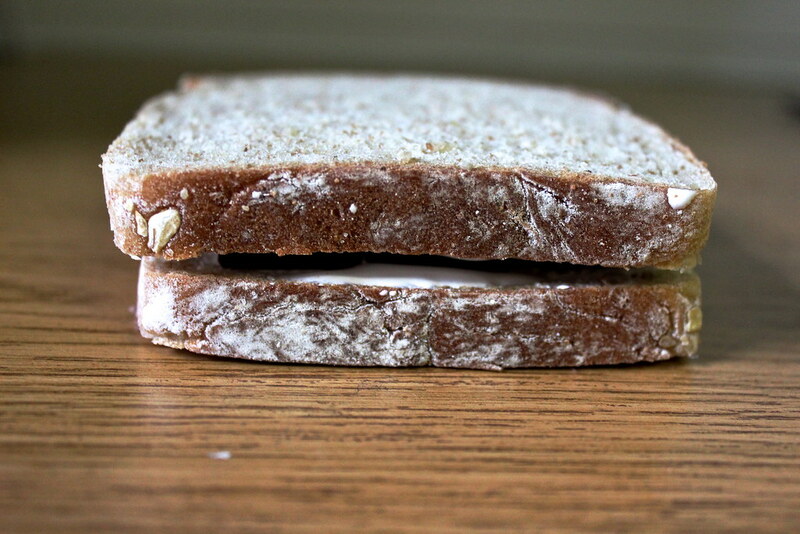 The panini for freshmen-ini, alumn-ini and everyone in between-ini. This weekend was Homecoming and that meant a whole lot of things to a whole lot of people. For everyone, it meant that the usually quiet town suddenly seemed to quadruple in population; it meant that getting a table at any restaurant within twenty miles was as impossible as getting on table in any frat basement; it meant the gathering of generations of Dartmouth students and alumni to celebrate memories and experiences of a place so important to all of us. To alums, Homecoming is a time to meet up with old friends and visit old haunts, proudly decked out in apparel specific to their class. This is a chance for them to regale us young hooligans with tales of their college escapades, which always somehow seem so much cooler than anything we’ve ever done. It’s a chance for them to casually mill around their old Greek houses and kick all of our butts at pong because dammit, they invented the game. And, I’m guessing, it’s a chance for them to take a break with the harsh realities of the real human adult world (suuuucks) and relive the glory days within the college bubble. To freshmen (worst best class ever! ), Homecoming basically means procrastinating building the bonfire and then, through some kind of suspicious voodoo magic, getting it done like maybe twenty minutes before the lighting. It also means the Freshman Sweep (probably the only time most of them will visit the River cluster or East Wheelock for the rest of the year), in which the class marches through town vaguely repeating, in various tunes, the few parts of the alma mater that they know. And it means going to the gym for the first and last time of your Dartmouth career, just to check you’re actually are physically capable of running those laps around the fire. For the rest of us current students, Homecoming is a time of trying to muster the willpower to get out of bed, trying to muster the willpower to attend class or do work, trying to muster the willpower to attend some kind of sports event, trying to muster the willpower to go to social gatherings and trying to muster the willpower to avoid late night (or was that just me…?). Going out at night becomes ten times more confusing than it already was (Who are all these people?! Where is everyone who actually attends this school?! Why is everyone out right now either someone’s random grandpa or someone’s random child?!). But Homecoming mostly means recreating the photo we took in front of the fire freshman year for like, the cutest Picstitched Instagram #tbt everrrr! Whether we’re freshmen or alumni or anything in between, Homecoming always means a celebration of our school around the bonfire on the Green. We all have our roles to fill: we’re either running around the fire (or touching it, getting arrested and pulling this unreal power move) or standing around it cheering and maybe running one or two laps (or eating one or two cider donuts) in solidarity. The bonfire is an emblem of the enduring strength of the community and the traditions that hold us together. But there’s one really huge, gaping hole in the traditions of Homecoming. For me, any fires immediately makes me want to make s’mores (and sing this song). To be honest, I could probably never be an arsonist even if I wanted to, since I’d always get caught stopping to roast marshmallows. 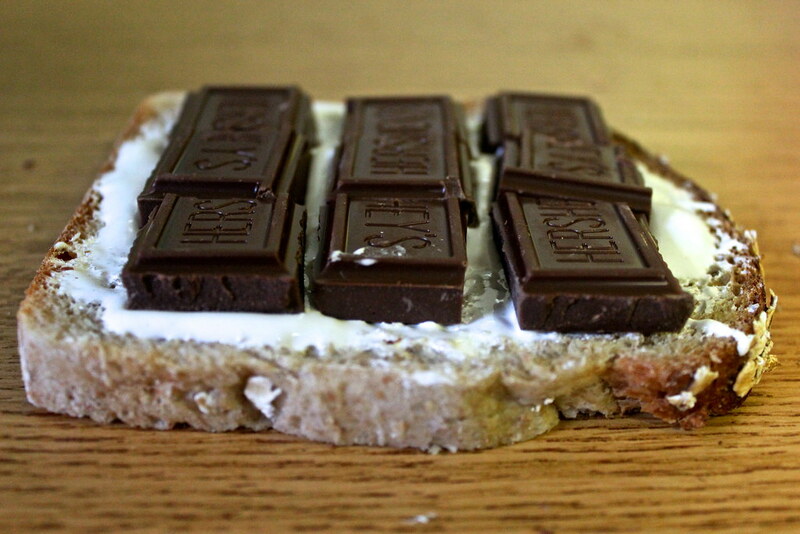 I want to propose a new Dartmouth tradition: next time, one up those losers who think they’re cool for touching the fire and try MAKING A S’MORE on the fire without getting caught. You never know, maybe the police will join you. But probably not. 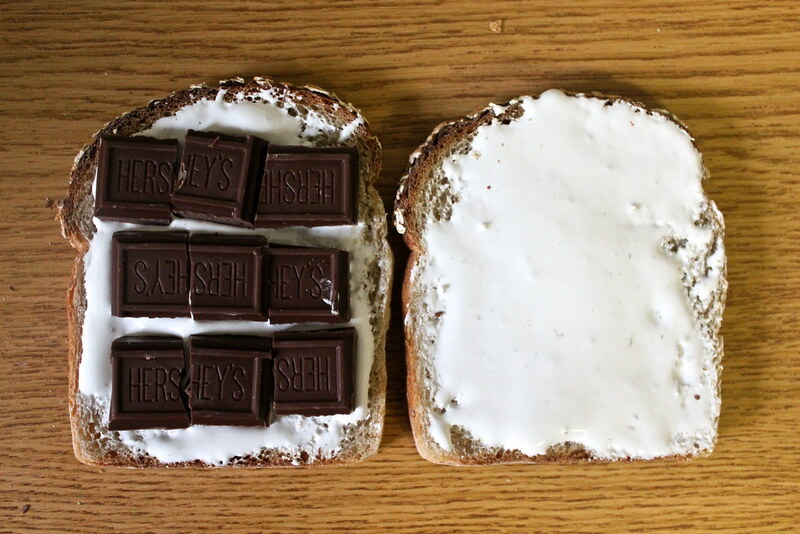 For those of us less brave and/or actually insane, there’s an easier way to fix this s’morrifying conundrum. 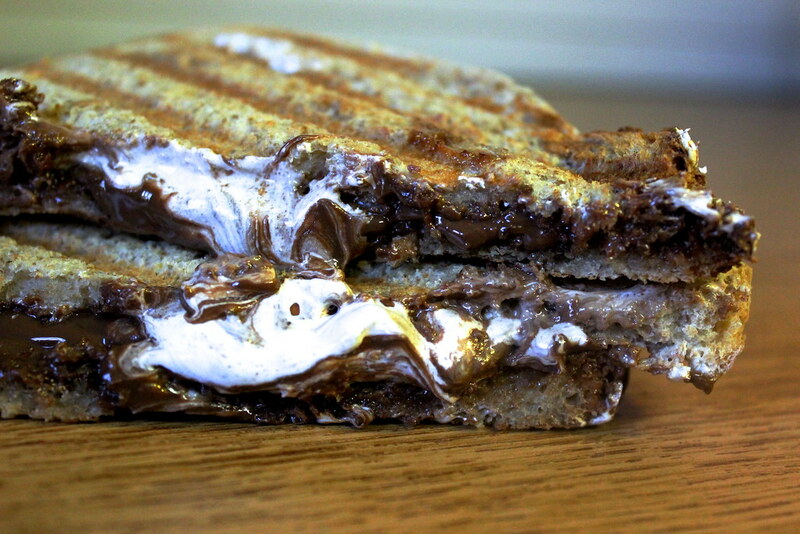 After spending ten minutes at the fire yelling at freshmen and then getting bored, go satisfy your bonfire-related cravings by making this super simple panini. 1. 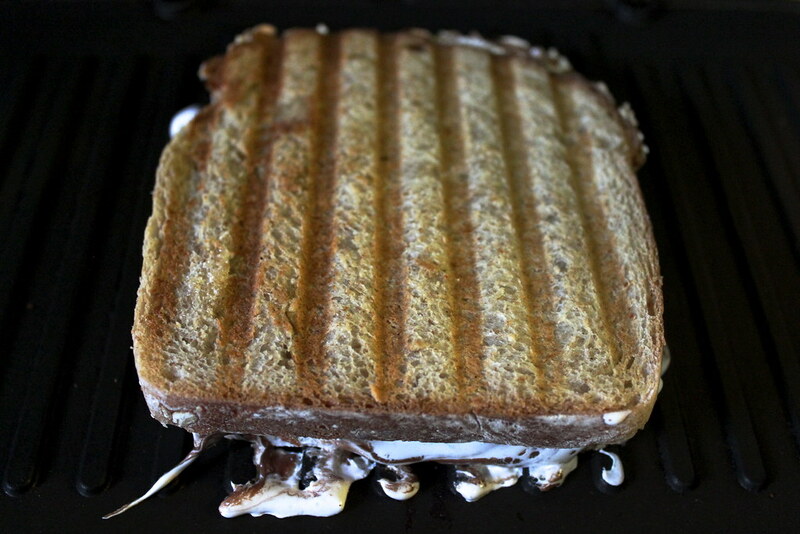 Preheat your panini maker to just below medium heat. 2. 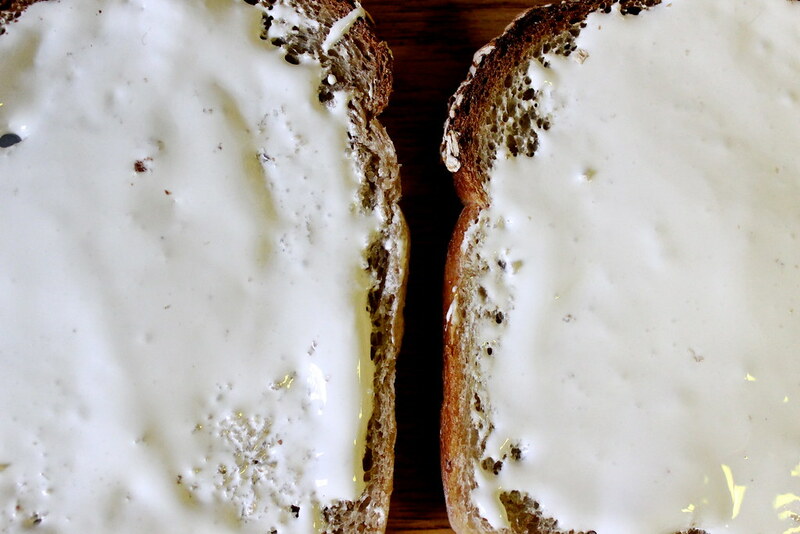 Liberally slather that Fluff on both pieces of bread. 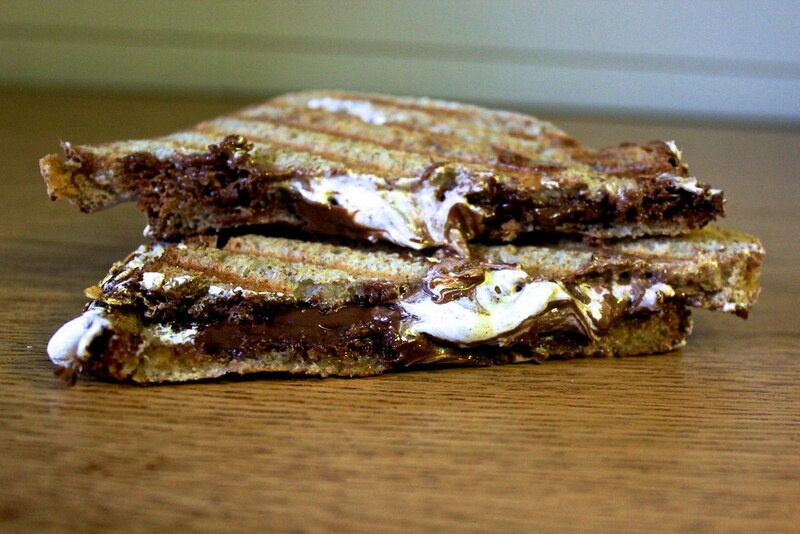 Because all the greatest s’mores masterpieces are double-stuffed. 3. 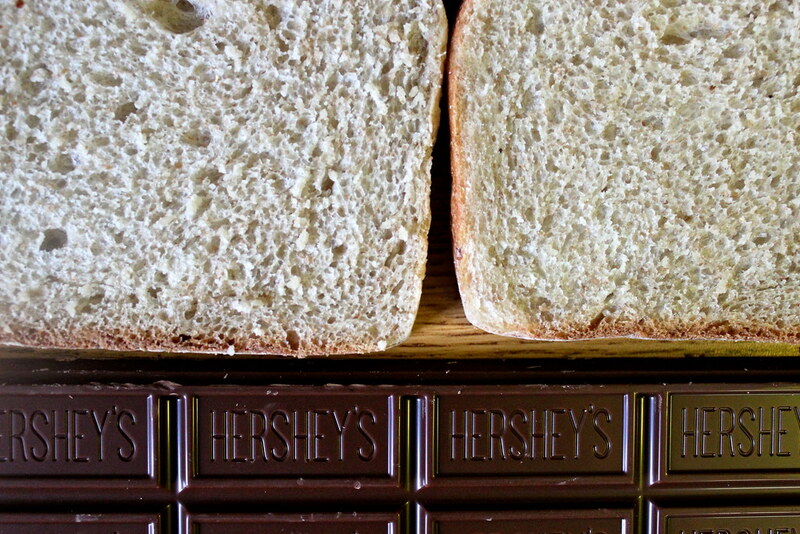 Break each piece of chocolate in half, then arrange them on one slice of bread. 4. 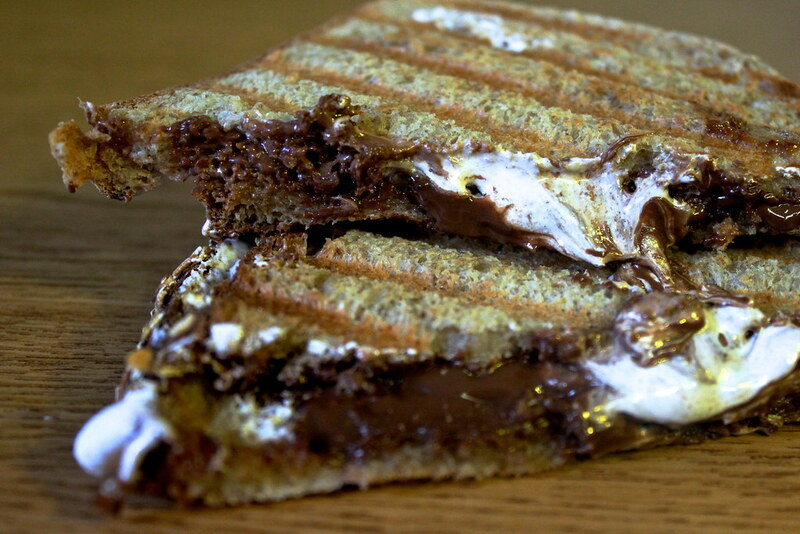 Assemble your s’morewich and pop it in the panini press for around 5 minutes, or whenever the Fluff and chocolate start to melt. 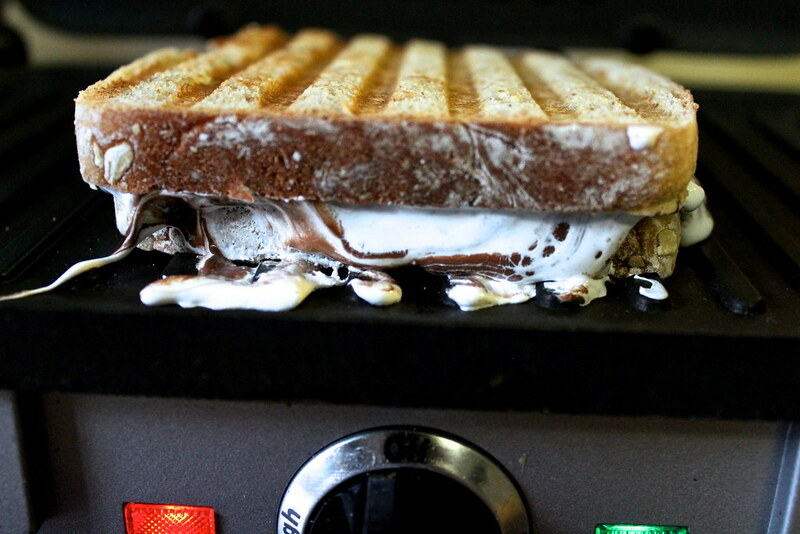 Don’t take it out too early that it isn’t hot; don’t wait for it to explode all over your panini maker (speaking from experience). This takes as much precision and expertise as getting that perfect golden-brown marshmallow around a fire. 5. Enjoy the final piece to the Homecoming puzzle that you didn’t even realize was missing until now. While you munch, share scary stories campfire-style with alumni and classmates (and by scary stories, I mean these, of course)! Want more fall flavors? Try last week’s recipe, the Pants-ini.